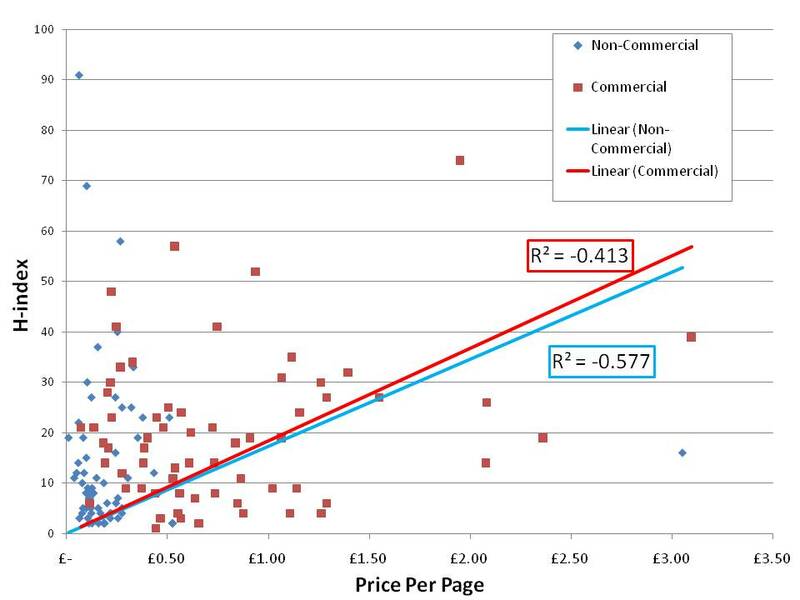 Continuing with previous examinations of journal prices vs. journal quality (in this case the h-index). The h-index is another measurement of journal quality. Wikipedia has the best description of how it is measured. 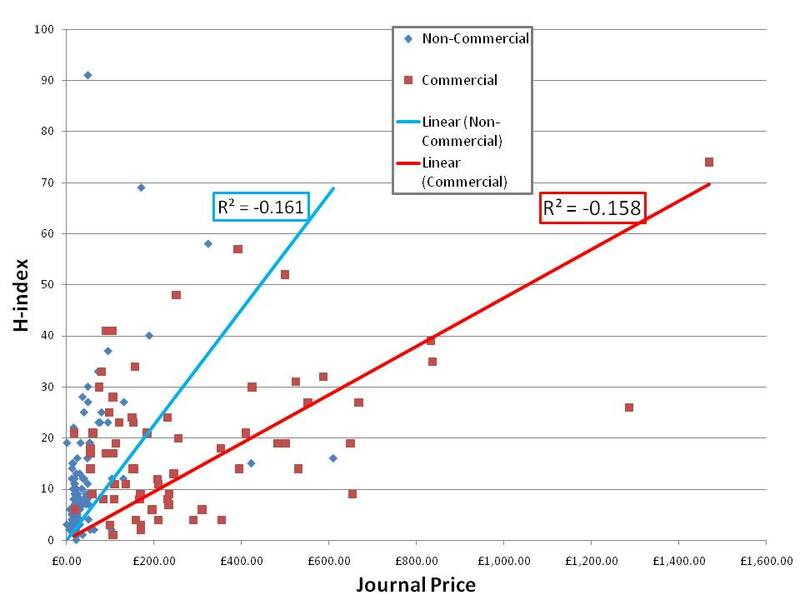 Like my previous posts I took the journals h-index score and compared it against the prices of journals(results below). I got my scores from the Publish or Perish FREE software which covered almost all of the journals in my list. The negative numbers would indicates a negative correlation (that as price goes up quality goes down) but the numbers are so weak it most likely means that there is no correlation either way.